Toolmex Oil Country series lathes offer users big 5"-25" bore solutions, for rigorous oil country pipe work, and are also well suited for a wide variety of applications found in the steel and paper mill industries, power plants, ship-building, and mining industries. Available in either manual or manual plus cnc (combination) lathe technology, our heavy duty oil country ready lathes are thread repair capable, include TRI-V bedways for greater boring accuracy, and have 25"-53" swings x 78"-629" between centers, and available in 2 or 4 bed versions. Optional slant bed series available in 5.5"-14.1" bores for increased productivity. Our most popular 37" TUR930MN oil country lathe, built by leading European builder Haco-Fat, features extra heavy duty 8.6"-14.2" spindle bores with lengths ranging from 78"-422" between centers. Available in Manual Plus and full CNC versions, these superior built European lathes are equipped with special heavy duty headstocks (spindle, gearing and bearings), extra wide TRI-V bedways, dual spindle noses (front and rear) for double chucking, 40-60HP main drives and choice of Fanuc or Siemens controls with thread repair cycle available. Special heavy duty options are also available including boring attachments (for bores to 50" deep) head or disc turrets, power chucks and even heavy duty tailstocks for high production. Our factory-trained engineers are ready to discuss the unique advantage of each Oil Country lathe, ensuring that you get the best lathe for your application and company. 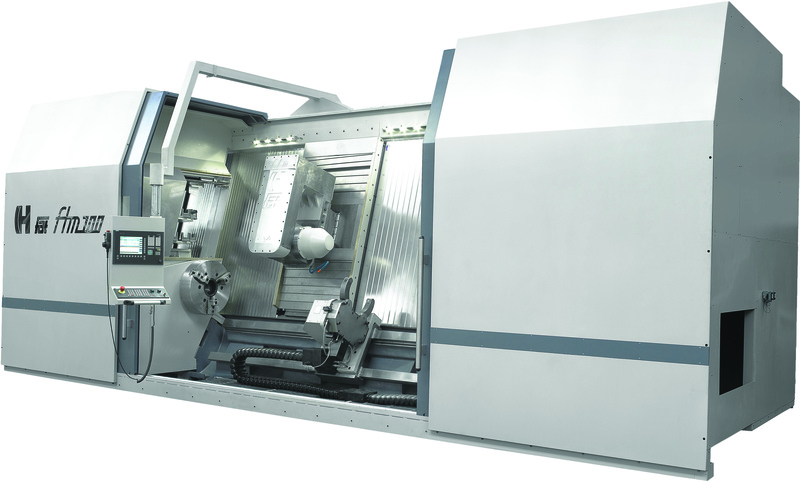 Contact us to discuss immediate delivery on select lathes.